In contentious child custody cases, judges may appoint third-party evaluators to investigate the facts of the case. These evaluators have a different role from expert witnesses hired by parents and judges are often heavily influenced by their custody evaluations. However, custody evaluators are not perfect; they are subject to bias, flawed research methods and a number of other methodological errors. If you wish to contest a child custody evaluation, it is insufficient to merely disagree with the evaluator. You must show why the evaluator is wrong and demonstrate why her recommendations are not in your child's best interests. All states use a "best interests of the child" standard when making custody determinations. Thus, your arguments should center around the best interests of your child and demonstrate why the evaluator's recommendations don't meet this standard. Different states use different factors to determine a child's best interests, however, common factors include the attachment a child has to each parent, stability of a child's environment and the parenting competence of each parent. If, for example, a custody evaluator recommends you and your ex split time with the child, you could argue this creates an unstable, unpredictable environment or will likely increase conflict between you and your ex-spouse. To convincingly argue that an evaluator's custody plan is not in your child's best interests, you should propose a reasonable alternative plan. If the custody evaluator recommends joint custody, for example, a judge is unlikely to accept an alternative plan that gives your ex no time with the child unless you can demonstrate incompetence or bias on the part of the evaluator. Child custody evaluator Jonathan W. Gould argues in his book "The Art and Science of Child Custody Evaluations" that all child custody evaluators are biased in some way. However, good evaluators take steps to correct against these biases. For example, they interview neutral third parties and witnesses to confirm what the parents tell them. If you believe the custody evaluator is biased, you must compellingly demonstrate that bias. For example, if the custody evaluator always recommends sole custody for the mother, this could evidence her biased leanings. Similarly, if the custody evaluator is a member of an organization with a political axe to grind regarding custody – such as a father's or mother's rights group – her evaluation may be biased. The Daubert standard, a standard used in cases involving scientific evidence, requires that scientific research is conducted using accepted methods in the research community. For child custody evaluators, accepted standards include interviewing both parents and the child as well as observing the interactions between each parent and the child. Custody evaluators should also use scientific tests, such as measurements of attachment or drug addiction questionnaires, when appropriate. If an evaluator has failed to use these standards, bring this to the court's attention. A custody evaluator must be qualified to perform the job she is hired to do. For example, a guardian ad litem – a person who is usually an attorney appointed to represent a minor child and her best interests – is not typically qualified to administer scientific tests or address issues in developmental psychology. Similarly, a psychologist whose degree came from an unaccredited school or whose license has been suspended may not be well-qualified. 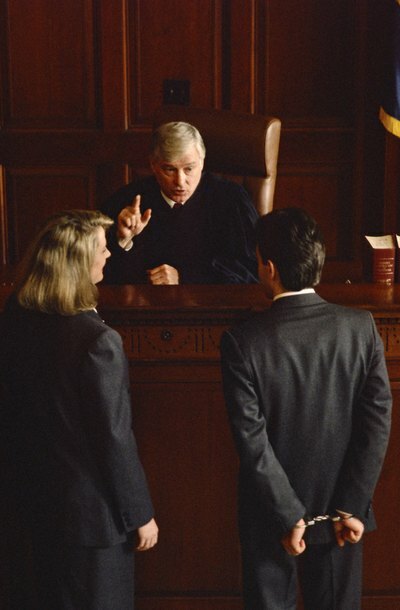 Point to any issues with the evaluator's qualifications to accurately judge your case. If you are arguing the evaluator is unqualified, her research methods are flawed or her recommendations are not in the child's best interests, an expert witness can be extremely helpful. Your expert should testify to accepted standards in the field, address any issues the evaluator's recommendations might cause for your child, and refute any misleading claims made by the evaluator. The Art and Science of Child Custody Evaluations; Jonathan W. Gould et al. The Scientific Basis of Child Custody Decisions; Robert Galatzer-Levy et al. Proving emotional child abuse can be like fencing with a ghost. You know it's there – you sense it and intuit the signs – but there may be no tangible, visible proof. This can make it a real minefield in a divorce, when you're trying to protect your child and you're worried about court-ordered custody and visitation. You have options, but you'll have to choose your way carefully. Child custody and visitation cases can become contentious, especially when they involve an infant. Early attachment and bonding can affect a child's relationship with her parents for the rest of her life. Unfortunately, traditional custody arrangements may not facilitate this bonding process. Parents engaged in custody disputes over very young children should carefully consider the importance of developing attachments and work to maintain the child's attachment to both parents.